I’ve thought of creating something truly useful for our dear students on the blog today. I know how busy you are with all the school work so I have here some pages that can actually help you get organized once and for all. (Well actually, even when you’re not a student, there are some pages here that you can use for your every day planning!) So what do I have for you? 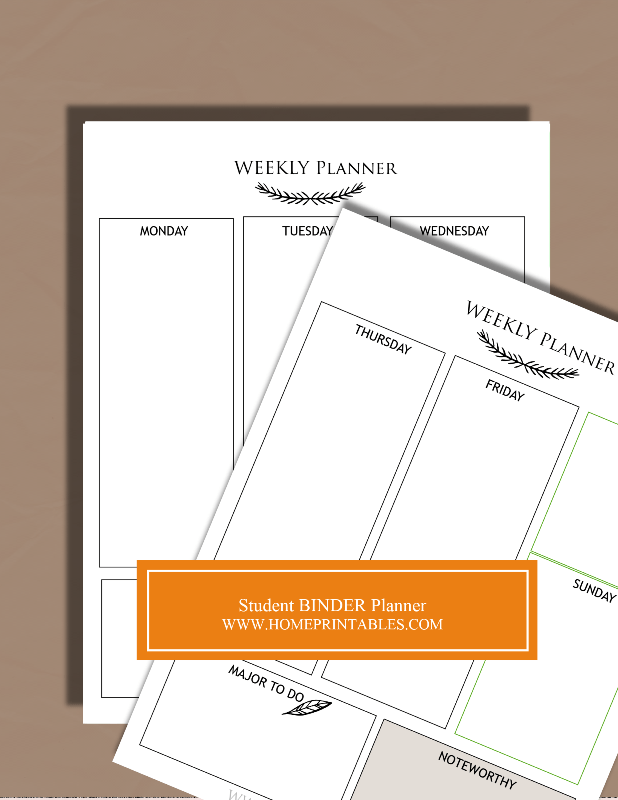 Today on the blog, I am inviting you to browse through and snag a copy of this practical, pretty and functional student binder that you can print for free! This binder allows you to plan your days in a snap. Having tons of homework? You can map them out in the Homework Planner page. Overwhelmed by a project? 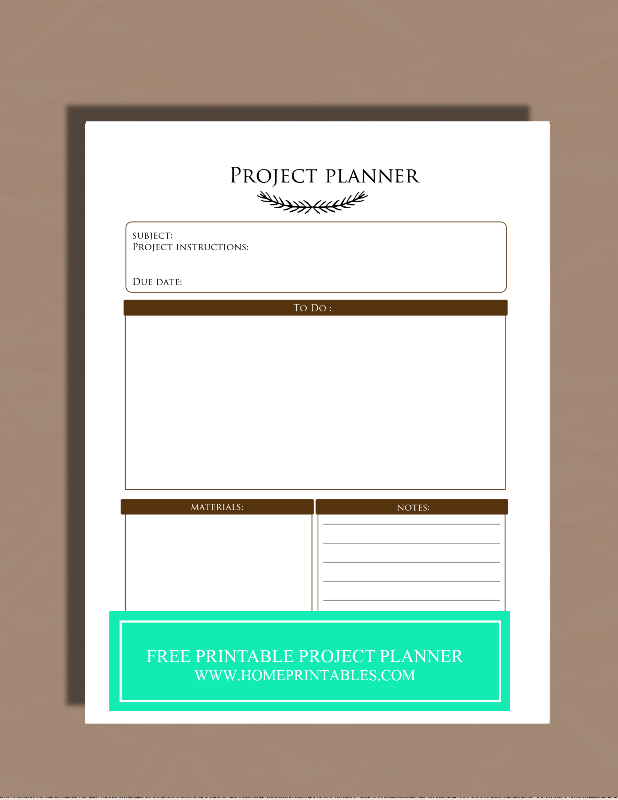 Plan it out using the Project Planner! Having a busy week? Use the Weekly Planner! 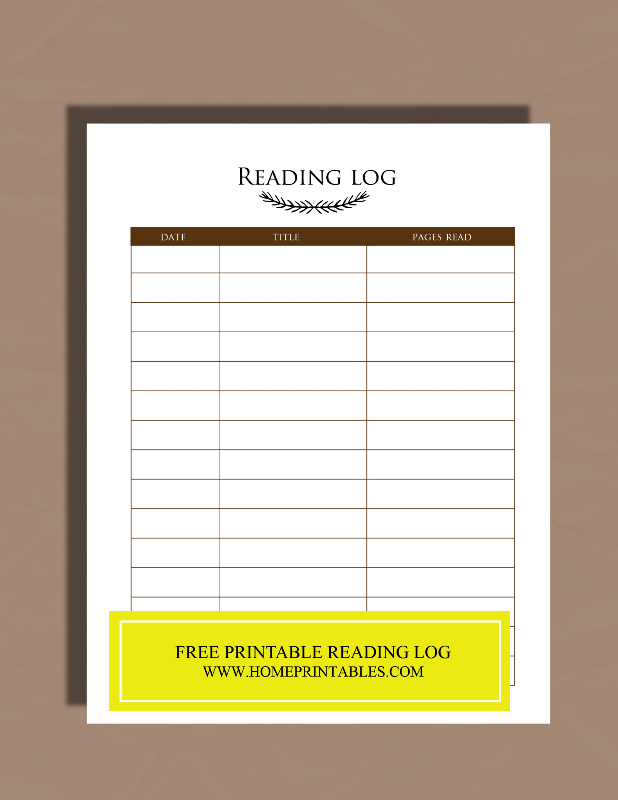 We also have a bonus page to log your reading! Okay, I think you’d be interested to take a quick student binder tour. All set? Let’s go! 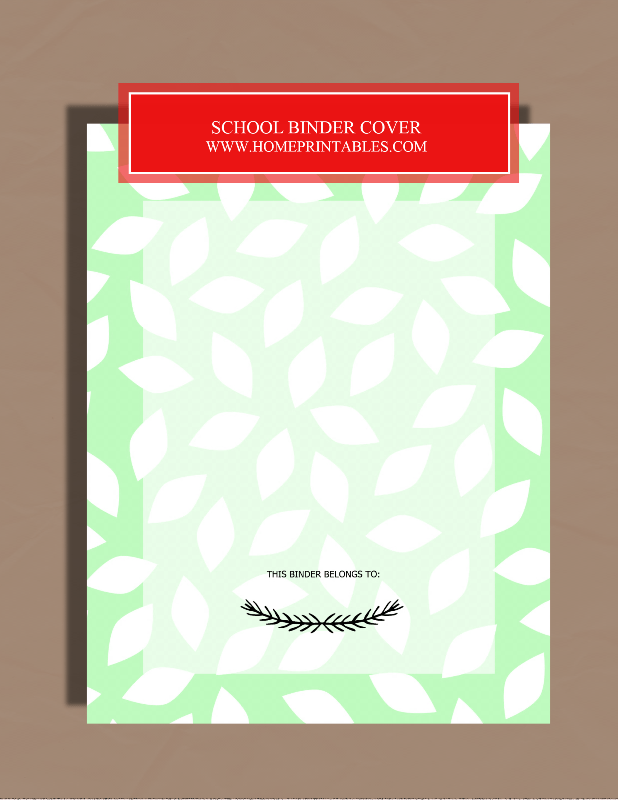 Who here likes a pretty binder cover, raise your hand! Hahaha! The cover of your nifty binder is truly something to love. Check it out! This page is a must-have for every student. Since it’s inevitable to be assigned with more than one project to do in a semester, I know you’ll be needing a page like this to help you organize your thoughts. How to do the project? Write the instructions right there in the box on top. What are the things that need to be done in order to accomplish it? Sketch them or write your plans in the TO-Do box. You also have a space for the materials needed and some important reminders to note! This is my favorite page in this student binder (and could be your favorite, too!) Write your assignments here and you’ll not forget any again! It has truly needed spots where you can write the due date and again, homework notes for your personal reminders! Created with a student in mind, you’ll get this page that comes in plain boxes so you can use it in any way you like! Should you like to doodle or write your plans for the day, it’s up to you! There’s also a spot for your major to-do’s and of course, things that are noteworthy to inspire or remind you! 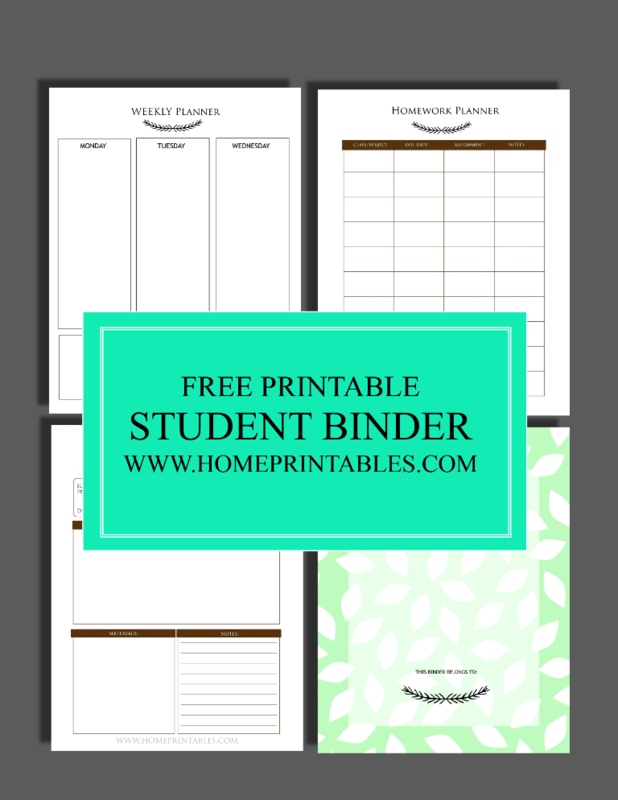 So there, your truly pretty and functional free printable student binder. Do you want to have it? I have created a PDF copy of the full binder that you can download in one shot just right here. Do GET your copy now! 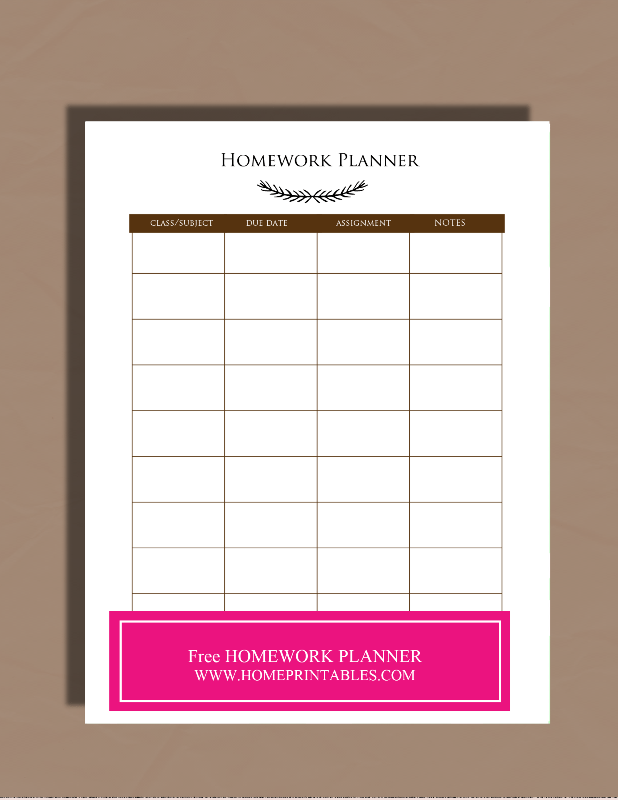 Please help me spread this freebie by pinning the image below in your Pinterest! What a beautiful resource! Thank you! Thanks for your kind words, Mandy!